How much does a skip bin hire cost? Are you wondering about the prices of bin hire and what you can actually expect out of it? It's a good question especially when you've never actually rented out a skip bin before. Perhaps you're organising a private event for family or friends? Maybe you are planning to do some extensive renovations in your home? In any case you're going to have to deal with a lot of rubbish and that's where a skip bin hire in the Northern suburbs can prove extremely useful. Now the question remains - how much does a skip bin hire cost? Well that generally depends on a few things - the size of the bin, additional features and corresponding charges that may apply. Hence you'd want to discuss the matter with the bin hire company if only to get an exact quote on the cost of skip bin hire services. 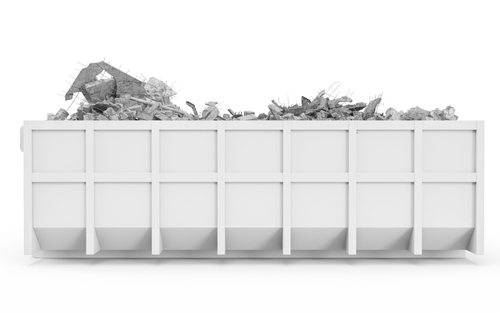 Skip bins are available in different sizes and this is what generally determines prices of bin hire services in your area. A 2 cubic metre bin will set you back about $130 to $150 and ideal for the occasional clean up around your home fitting up to 2.5 metric tonnes of general household waste. You can also rent a bin as large as 9 cubic metres for about $365 to $400. Take note that you're not allowed to overload your bin for any reason and your bin hire company may refuse to haul away your trash for doing so. Hence you'd want to make sure that you size your bins correctly; your bin hire service provider ought to be able to help you choose a bin size that is suitable for the amount of waste you're looking to throw out. Looking to get started? Call Bins Adelaide today on 0426 570 035 to learn more about the prices of bin hire services and what our rubbish removal experts can actually do for you!